Sonic: "wow, must have been a great day for you so far that you come and talk to ME?!" Shadow: "yeah, it was a great day... until I see you..."
Sonic:" Why are you even come here then?!" 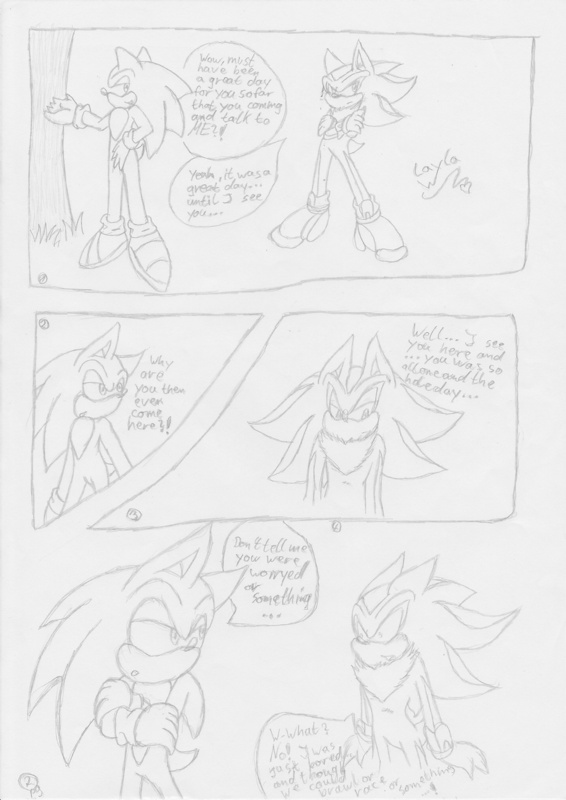 Shadow:" Well...I see you here and... you was so alone and the hole day was so..."
Sonic:" Don´t tell me you was worried or something..."
Shadow:"W-What? No! I was just bored and thought we could brawl or race or something...!"